Martial Law is the darkest chapter in Philippine history. Thousands of young men and women were abducted and killed. But the millennials in the Philippines, comprising 46% of the population, know nothing about it. They were not born yet when it happened, and their school textbooks omitted facts about human rights violations during Martial Law. 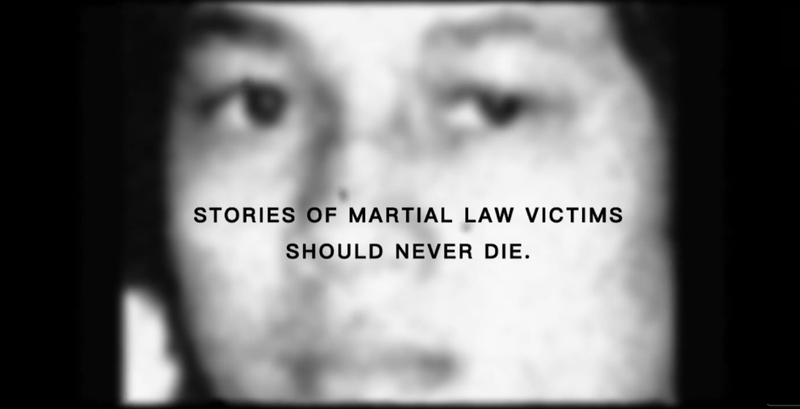 We thought: What if we brought a victim of Martial Law back from the dead to tell his story? We chose to bring back Archimedes Trajano, a 21-year old man who was abducted and killed in 1977. It wasn't easy. We needed to review close to 100 actors to play Archimedes Trajano and tell his story. Eventually, we found doppelgänger. This story was used to petition the government to revise textbooks and include historical truths about the atrocities during Marcos regime. And recently, the Department of Education of the Philippines committed to a curriculum change that will show the "complete" picture of Martial Law, including the "corruption and human rights abuses" during that time. "As posted by our Account Supervisor, Mielle Dungo: ""Tanga dapat nga sa'yo patayin eh bastusin mo ba naman ang anak ng presidente kung di ka ba naman tanga."" (Stupid! It was right for you to be killed. You disrespected the daughter of the President. You are so stupid.) This and more. The comment section already proves why we have to rewrite our history and continue to fight for the truth. I feel sorry for them - the victims of misinformation. I feel sorry for the heroes of Martial Law who risked their lives for our freedom. And most of all, I feel sorry for our nation. But I feel hopeful. Videos like this remind me that there are people out there who feel the same way. The fight is not yet over. Let us continue what Archimedes Trajano and the rest have started. Let us do something for the Philippines and our fellow Filipinos."